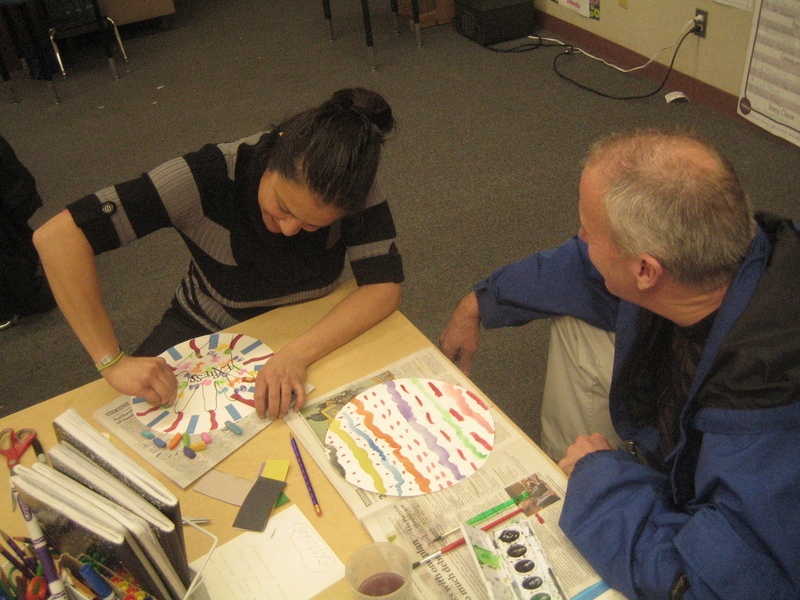 This past Wednesday, December 8th, all of the Elementary teachers in the Sausalito Marin City School District came together for their monthly arts PD session. As the rain was coming down hard outside, the teachers were inside reflecting, creating, collaborating, and experimenting. 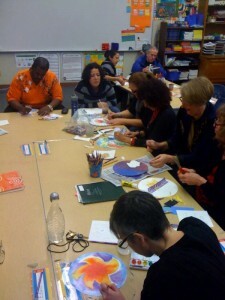 To begin, each teacher drew one SHOM word from a bag to think about and work with. 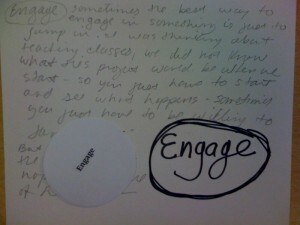 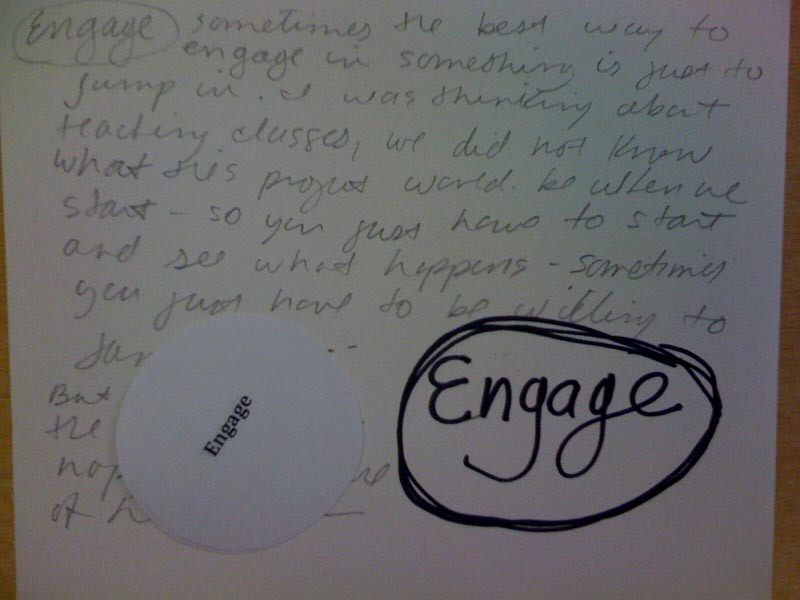 The teachers were then asked to think about how they utilize that practice in their own teaching, or perhaps they have observed Ms.Brooke using it within her teaching, or perhaps they dream of using it in a certain way in the future. 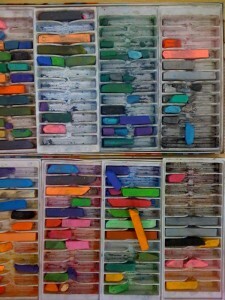 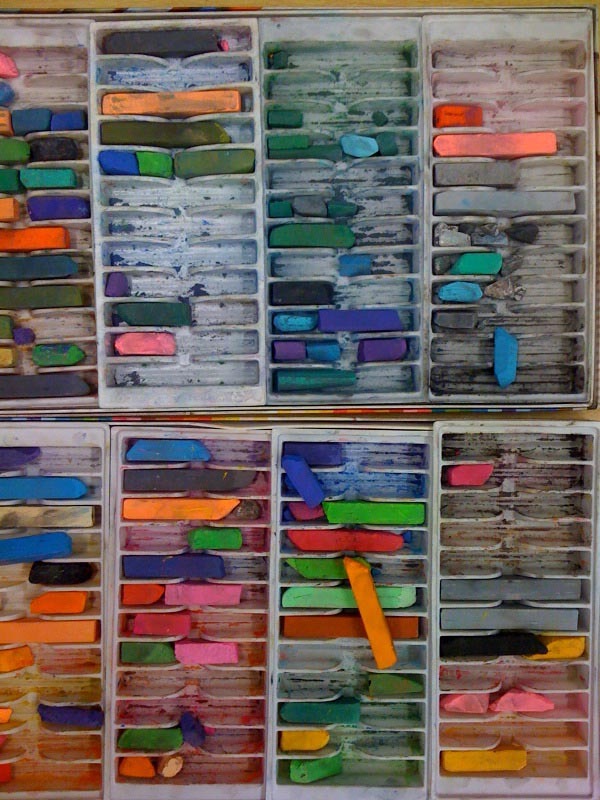 Chalk, watercolor, Sharpie, graphite pencil, collage matierals. 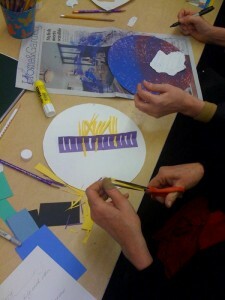 The classroom space was filled with a buzz as materials were chosen, layered, blended. 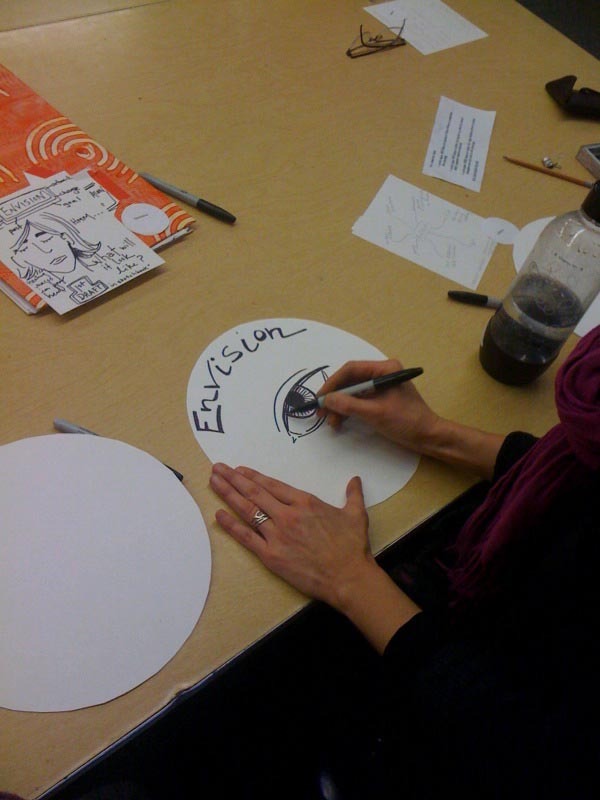 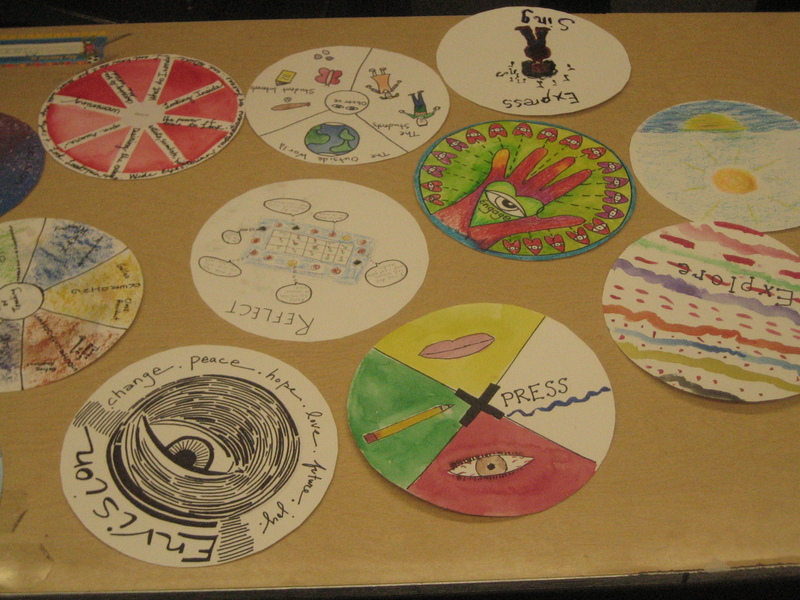 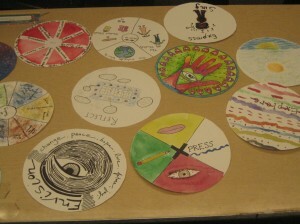 At the end of the session, the orb-formed pieces were stretch out across a table for reflection. The responses were positive, and the willingness to look and listen and explore was inspiring.